Have you found an online vendor selling Plantation Xaymaca Special Dry? A blend of Jamaican pot still rums from Clarendon and Long Pond (muck pits!). Most of the marques are the result of a 1-week fermentation period and less than a year of tropical aging, though there is some amount of high-ester distillate from a 3-week fermentation that was blessed with 3–8 years of tropical aging, depending on who you ask (Plantation says 3, CocktailWonk says 8. CW also lists an additional 2-week-fermentation marque, but the bottle label omits this). There may also be a drop of 17-year-old Long Pond in there, for marketing purposes ;). All of these were blended together before the inevitable 1–2 years aging in Cognac casks in France, however, WITHOUT any dosage (joining OFTD as the only other un-sugared, mass-produced Plantation bottling). Bottled at 43% ABV. Kind of a Hampden-y nose. Unmistakably Jamaican, of the fruity variety, led by cherry and pineapple. Some banana. Like a Hampden lite (and hey, even Hampden can make "lighter" marques). It's plenty funky... more so than I was expecting, given some early reviews (see below). Not my favorite flavor profile (cherry), but I quite like it. Despite the lack of dosage, it still has some of that trademark Plantation "sparkle" on the finish, which I attribute to the Cognac aging. 2) a rum nerd environment that's often very critical of Plantation (and often rightly so, I might add) and who are hungry for any excuse to decry the brand's endeavors. 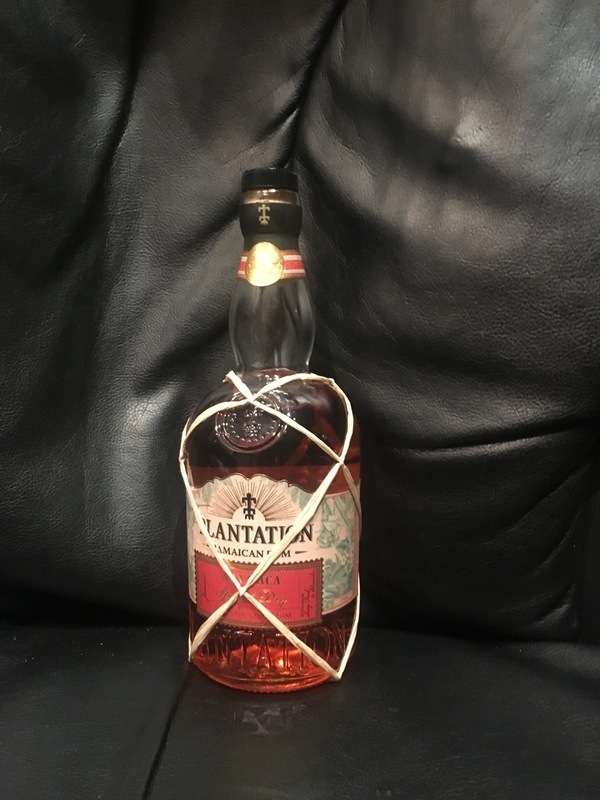 So, if you're already not a fan of Plantation, and you're looking for more reasons to justify that position, this new release is an easy target: "It's not as hogolicious as X, therefore it is a disgrace to Jamaican rum." I see several problems with this. I believe Xaymaca should be judged on its own merits, and against peers in its price-point. This rum wasn't made to unseat the venerable S&C, but it sure as heck beats Appleton, Myers's, and Coruba (not to mention giving Rum-Bar Gold a run for its money). Set your expectations accordingly. It's got enough funk to draw you in on the nose and make itself known as Jamaican, and delivers lots of great flavor on the palate, without any nasty sugar. Mix it, sip it, and if you really like it, seek out the funk-bombs from Hampden and elsewhere. Is it my new Jamaican mixer of choice? No (due only to my personal flavor preferences). Would I be perfectly happy with it if it were my only choice? Yes. Will I be recommending it to people getting started on their rum journey? Absolutely. Tom Browne would be proud ! Nice 43%abv 100% pot still rum with no plantation dosage. The small amount of sweetness comes from the over ripe pineapple and bananas. Very fruity and floral in the nose plus some nail polish remover ! Plenty of funk and a bit of a bite. I need to be in the right mood for this one but its something different which is good. Will try in a couple of cocktails as I think it will perform well. I am quite new to Rum, and i find this a little too dry for me. Think i need to find something sweeter. un très bon rapport qualité prix. A offrir ou à avoir dans sa cave. pas prise de tête sa marche bien c'est simple et c'est Jamaïcain!! Non-sugared from Plantation - What a delight! And it IS a nice product, albeit not an ester-bomb as one might expect. Nose does have that hefty ester count, but taste is more subdued (possibly due to the cognac cask use). Still, nothing to put down I feel. A very good Rum. Oproti ostatním rumům od Plantation je tento ve vůni trochu ostřejší a výraznější. Je cítit po tropickém ovoci, vanilce a pomerančích. Vůně, která převažuje připomíná rumové pralinky. V chuti převládají právě ony rumové pralinky a pak následuje tropické ovoce, vanilka, pomeranč. Rum je jen mírně nasládlý. Další rum od firmy Plantation, který rozhodně nezklamal a stál za ochutnání. Is this stuff a hallmark, a standard to which you should hold other jamaican rums? NOPE! But, does this stuff taste good? Oh, you bet your sweet bippety it does!! Heavy handed with the normal tropical fruit stuff you expect from Plantation (pineapple, champagne mango) but dirtied up with some distinct green olive flavor, and just enough funk dancing around the edges. I could drink this stuff all night! I saw this one on the liquor store shelf for only $21 and remembered that it had some good reviews. Being a fan of Plantation rums, how could I go wrong in buying it? And to boot, this one specifically states that it is dry, meaning no added sugar. This could be quite interesting. I got it home and the aroma from the snifter was subdued hogo funk that is unique to Jamaica. So far, so good. Then I sipped it and all Jamaican qualities were lost to excessive aging in cognac casks to give it the Plantation signature. So why did they go through all of that trouble in Jamaica and document in detail on the label only to unfunk it in cognac casks? Yes it is a sweet tasting rum without any added sugar, but it loses all identity as a Jamaican rum. It basically has an identity crisis for trying too hard. Updated later: My rating rapidly went down from a 6 to a 5. Fearing that this rum would eventually go down the drain, I used it to try and improve on one of the most disgusting drinks called the Hemingway Daiquiri. Instead of the usual cheap 80 proof white rum that Papa preferred, I swapped that out with this rum. Had this rum been around in Papa's days, he would have approved of the higher alcohol content and no added sugar. Well, this rum only marginally improves on that nasty drink. I guess that I need to get more creative to avoid flushing this one down the toilet. I haven't had much experience with Jamaican rums, yet, but knowing that I have enjoyed the Plantation brand, I knew I would enjoy this one. I could taste banana and pineapple, however not overly sweet either. I enjoyed this one neat and will have to try on the rocks. A lovely dry rum , basically comes from Jamaican stocks that plantation have released as prrof that they can still produce good rums without dosing the liquid with suger. On taste your palate is shown flavours of bannana and pineapple and loads of Jamaican funk!! Enjoyed two glasses of Plantation Jamaica Xaymaca with my friend during a 5,000 mile road trip across 18 States. Bottle and label design looks very nice and unique. Golden amber color. Very strong and offputting glue and funk straight to your nose and palate. Strong burn at the end due to 100 Proof Pot Still so there is zero sweetness on this rum. Un rhum sec avec des notes de fumé et de noix. This rum has some amazing components so it's amazing that it's so boring. Its like Jamaica-lite....but too lite. It could've and should've been so much more. Quite saddening. Funky nose, drier than the usual plantation offering. Pleasant enough to sip leaving a deep chest warmth. Kind of a stewed fruit kind of taste at the end of a short finish. Tried it with coconut water, then ginger beer too but they didn’t add anything. Best with one ice cube. I love Jamaican rums, and this one blew me away. Pure pot-still Jamaican rums that have such wonderfully crafted progressions on the palate, and have such wonderful flavor and aroma are typically rare finds. The shelf at my local liquor store had at least 10 bottles on it, relatively untouched with a $25 price tag. The qualities of this rum are undoubtedly Jamaican. The classic banana and pineapple character is given different floral dimensions, while the mouthfeel has a degree of richness and oily texture without feeling sweet. The finish in lingering and delicious; I can't seem to get over that oily character (coming from long-pond distillates). I believe 10/10 rating on a spirit is an extraordinary rating reserved for only truly special rums. Some might wonder about the seriousness of giving a $25 bottle such a rating. My reason is this: while there are many examples of excellent Jamaican pot-still rums out there, many showcasing more aging or overproof qualities, how many are readily available at a $25 price point, and with all the exceptional character noted above? This is a special rum - A welcome new addition to the Plantation lineup and a permanent addition to my shelf.